Ok, so you’ve installed WordPress on your site and have the username/password credentials. You log into your site…and now what? If you’re new to WordPress, it can feel a bit overwhelming. You don’t know where to start. So much to learn! 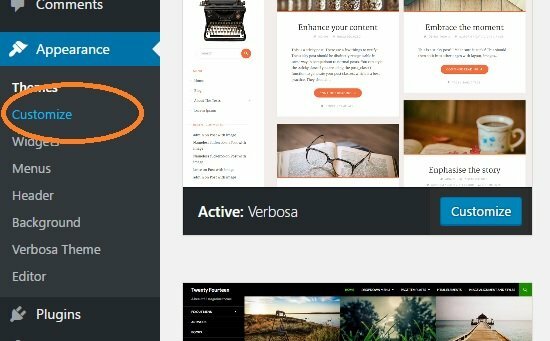 That’s the purpose of this step by step WordPress beginner tutorial series. Starting right from the point where you install WordPress, to covering security, design and backups – the works. 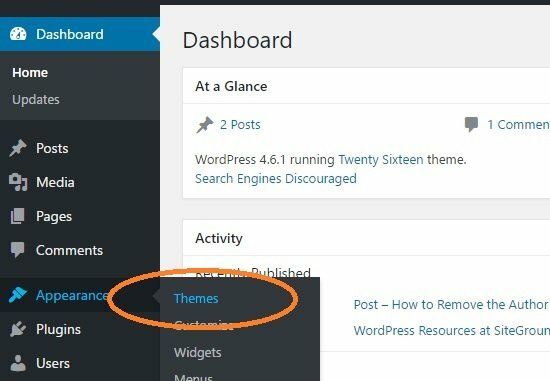 This tutorial will show you the first thing to do after installing WordPress – changing your theme and making the site “yours”. Some will recommend securing your site before changing the theme, but at this stage there’s really nothing for a hacker to get their hands on. So I’ll delegate security to the second step. 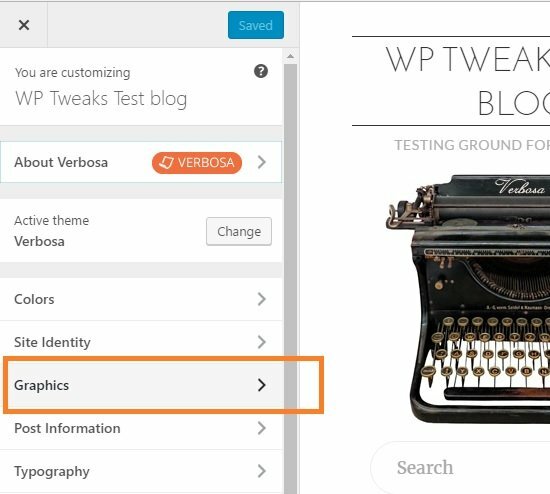 Here’s how to change the default look of WordPress and set your blog apart from millions of others. This will bring you to a screen showing you all of the existing themes on your site. Note that only one theme can be active at a time. 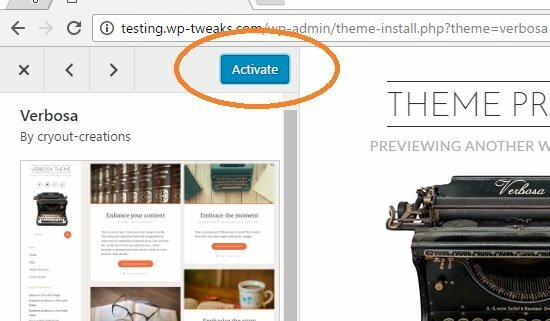 A fresh WordPress installation comes with a set of default themes developed by Automattic. They’re pretty vanilla. What we need, is a fresh new theme. The good news is that there are around 2,000 free themes to choose from! 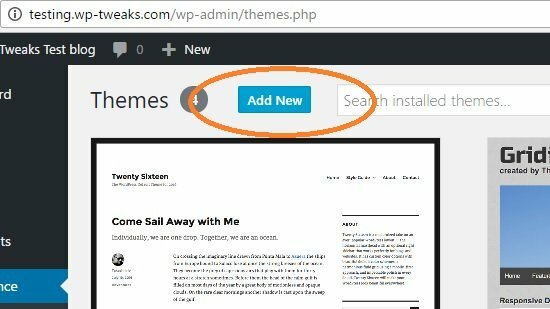 The following screen shows a list of free WordPress themes to install. Using the tabs, you can browse them by “Featured”, “Popular”, or “Latest”. 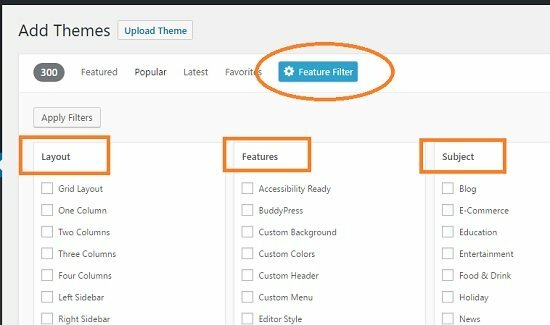 If you want to specify the features your theme must have, then click the “Feature Filter” gear icon on the right hand side. 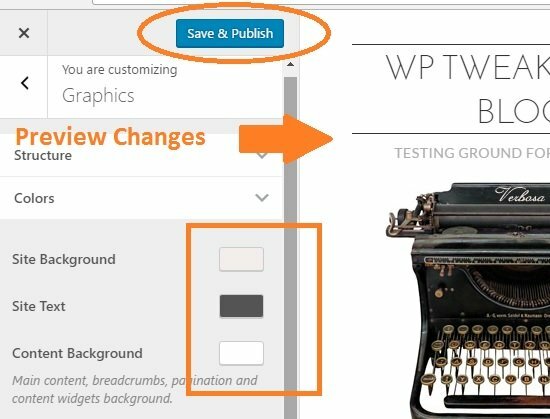 This tool allows you to filter you results by the specific features you want your theme to have. As a beginner, many of these will not make any sense. But you can still filter by subject, or if you have an idea of the number of columns you want your new WordPress site to display. Once you’ve made your selection in the feature list, click “Apply Filters” to display the list of themes that match your criteria. They’re shown in a “grid” layout with thumbnails, so you can get a decent idea of what these themes will look like. Keep in mind that you can customize the colors, the text, the font, and many other aspects of any individual theme. So find one that has the broad look you’re going for. Don’t get too hung up on the specifics of the elements. Once you’ve found one you think looks nice, you can get a closer look by hovering your mouse pointer over it and clicking “Preview”. 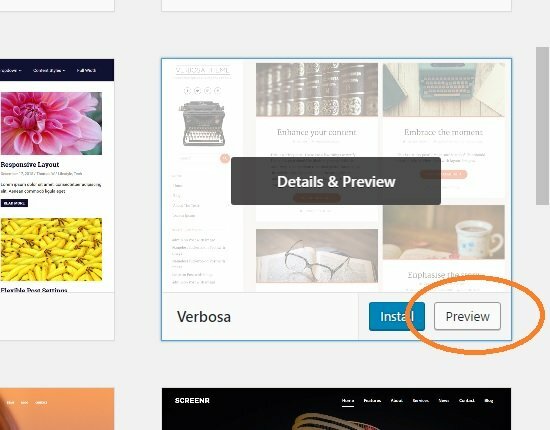 In the above example, I’ve selected to preview the theme called “Verbosa”. I like the clean, white text based layout. The preview screen shows you what your blog would look like with the current theme installed with its default settings. Unlike the thumbnail, it’s a much more detailed preview and is specific to your site. Nothing has been installed yet, and you can’t make any specific changes at this stage. This will make your chosen theme “live”. You’ll be taken back to the dashboard, but you can visit your site in another tab to see what it looks like. The customization options are divided into segments. Right off the bat, you can see that I can modify the default colors, the fonts, the graphics etc. The “Post Information” allows you to select what information to display along with your posts, whether to show excerpts etc etc. The true value of the customizations screen comes when you change a setting. 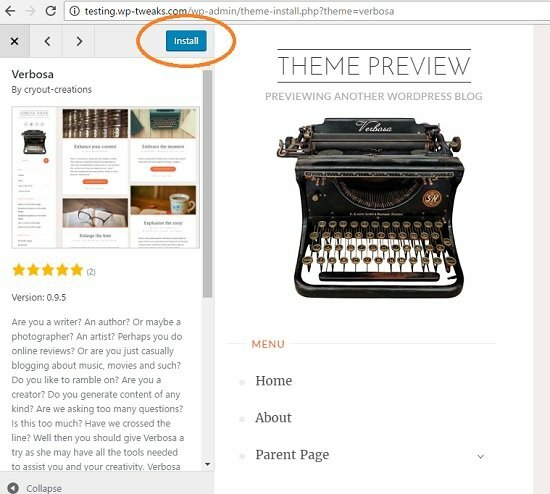 The preview display on the right pane immediately changes to reflect what your blog would look like with the new option. The changes are not saved yet – only the preview is modified. You can use the left arrow to go back to other segments and make more changes. They won’t go live until you press the blue “Save and Publish” button at the top of the theme customization panel. When your customizations are live, visit your site with a new tab and see how it looks full screen. If you want to make more tweaks, just repeat Step 4. Congratulations! You’ve installed WordPress and have customized the theme to fit your tastes. You now have a distinctive identity on the web and are ready to start adding content. In the next WordPress beginner tutorial, I’ll show you how to boost the security of your site, so that you can be safe from hackers.